This movie has been done a million times and almost always badly. Why would anyone want to make it again, a movie about young friends who are secretly in love? Is this a story that needs to be constantly repeated because it’s just so important? I don’t think so, Tim. Talk about a beloved classic. This animated children’s movie has, cheesily, touched the hearts of a lot of us, becoming part of our childhood or of our children’s movie collections. So it’s a standard now, but it was once a ground breaker. It was the first film of the Pixar animation company, teaming with Disney to produce a blockbuster computer generated movie, an art form that was just blossoming. And of course from there Pixar has made many more excellent kids’ pictures: A Bug’s Life, Monsters Inc., Finding Nemo, The Incredibles, WALL-E, Up. But you could argue that none are better than the one that started the trend, the movie that began a movement and renewed our interest in animation not just for a few years, but for decades to come. Toy Story could not be a more accurate title. It is a story about toys, their lives, and the important role they play in the development of children. Woody the cowboy and his friends are the toys of Andy, a nice boy who plays with them all but has a special place in his heart for his wild west buddy. What he doesn’t know is that his toys come to life when he’s away, interacting together & planning on how best to make Andy happy. Their routines all change upon the arrival of a new toy, a Buzz Lightyear space ranger. He’s cool, he flies, he’s got a laser, and he thinks that he’s really a crashed space pilot. 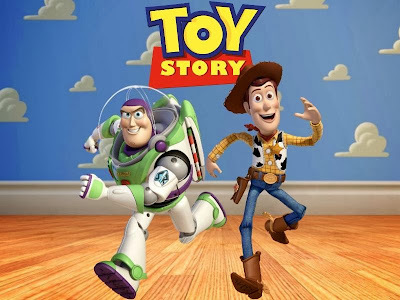 Woody tries to make him understand that he’s just a toy and eventually tries to get him out of the picture when Andy starts favoring Buzz over Woody. But the two toys need each other when they become lost, forced to work together to get back to the boy who loves them. There is something in this movie for everyone to like. For kids it’s silly, fun, adventurous, bright, and overall enjoyable. For adults there’s the patented Disney hidden gems, the clever comments, the slightly adult humor. And the animation can be enjoyed by everyone. The colors are so beautiful, the characters so elaborate, the shadows & all details done with meticulous care. Visually it’s a stunning movie that has perhaps been outdone since but will never be diminished by time. And the story itself is classic; friendship, love, purpose, overcoming obstacles. It’s a film that can be watched over & over again and never gets old. The voices are well done, Hanks & Allen; they are perfect for their roles and help to make the toys come to life in a way that even the animation can’t deliver. An extremely popular movie, it’s hard to imagine that you haven’t seen it. But on the off chance that you missed it, please go correct that mistake. There are some very strange people in this horribly-looking film. Cameron Diaz & Leslie Mann are both bad actresses. Kate Upton is not even that, she’s just a model. And don’t forget cameos by Don Johnson & Nicki Minaj. Very odd and I’m almost positive very, very awful. How is Channing Tatum the hottest thing since Terrance Howard? I didn’t see the first one of this new series, but I kinda wanted to. I felt dumb at first, but then after it got OK reviews I actually thought maybe it would be worth a shot. This movie isn’t my usual style, but I actually laughed a little during the trailer. I can’t see myself rushing out to see either film, but perhaps someday they’re worth a rental. Taking a look at director David Gordon Green’s previous films makes you a little nervous about how Prince Avalanche will turn out. 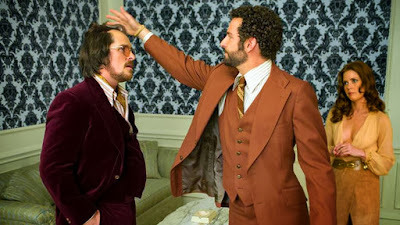 Pineapple Express, Your Highness, and The Sitter weren’t exactly the greatest pieces of modern cinema. And even though I like the Rogen/Franco/Hill crew, I had my doubts coming in about how he would transfer that raunchy comedy talent to a more quirky comedy style. He had the right actors for the job, as both Rudd & Hirsch are very talented, naturally funny, and can turn on the serious when it’s called for. But now add in the fact that this film is based on the 2011 Icelandic comedy Either Way. That’s a lot of strange & unique pieces that have to fit together snugly in order for this movie to be high-quality, or at least enjoyable. And as it turns out, perhaps there were just too many odd components and not enough room for error, because if the film worked it was just barely. Alvin & Lance are a pair of road workers in 1980s Texas. They live in a tent in the woods, bathe in the local streams, catch fish for dinner, and by day paint lines on new pavement that has been laid after a horrible forest fire. Their job is fairy monotonous, although Alvin tries to make it more exciting by playing German language lesson tapes, and Lance shares his wild stories of nights at the clubs in the city & of the various girls he has met. Alvin has a girl back home, who happens to be Lance’s sister, and he writes letters to her professing his love despite voluntarily taking this break from her & from civilization. This strange duo of lonely men work hard during the day, discuss the world at night, and try to figure out life from their own odd perspectives, all while living off the land, communing with nature, and getting drunk off spiked Ale 8. You better enjoy offbeat indie comedies if you want to have even the slightest chance of liking this strange film. Everything about it is just plain weird, from the one-on-one conversation to the Walden-esque forays through the woods. There’s really not an exact point to the movie and you’re not going to come away with much, but it definitely delivers a unique story from a fresh perspective, if that’s what you’re looking for. 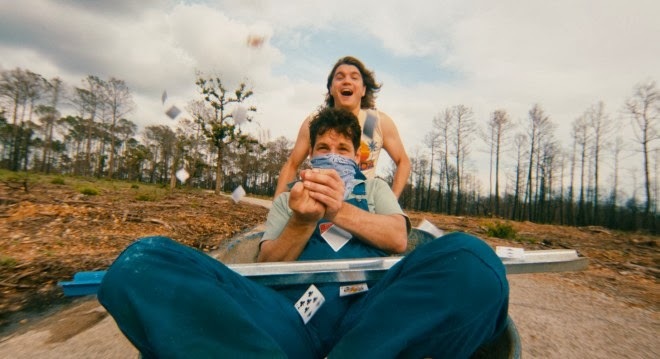 Paul Rudd & Emile Hirsch are both actually very strong, especially playing off each other, and they can make you laugh & make you feel very depressed at the exact same time. So there are parts that worked well and some solid moments, but overall the film was a little too crazy to be great. It was a bit messy, maybe a little flippant, and never really got on track. 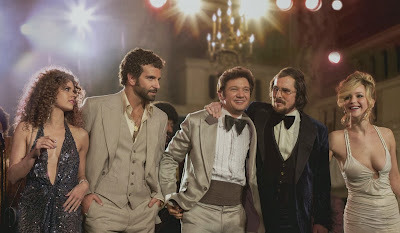 The moments between the men were hilarious and I wish the movie had centered itself on them instead of losing itself in some confusing self-indulgence, but in the end it was a quirky comedy that was good not great, one that would be hard for most people to enjoy and I doubt will leave a lasting impression. I kind of wanna see this. It looks like an American & slightly better version of Stand Off, but with Ray Romano instead of Brendan Fraser. Neither of those guys makes me specifically interested in movies that they’re involved in, but for some reason I’m intrigued by this movie. Maybe it’s just a well-edited trailer & it turns out to be garbage. Rental? 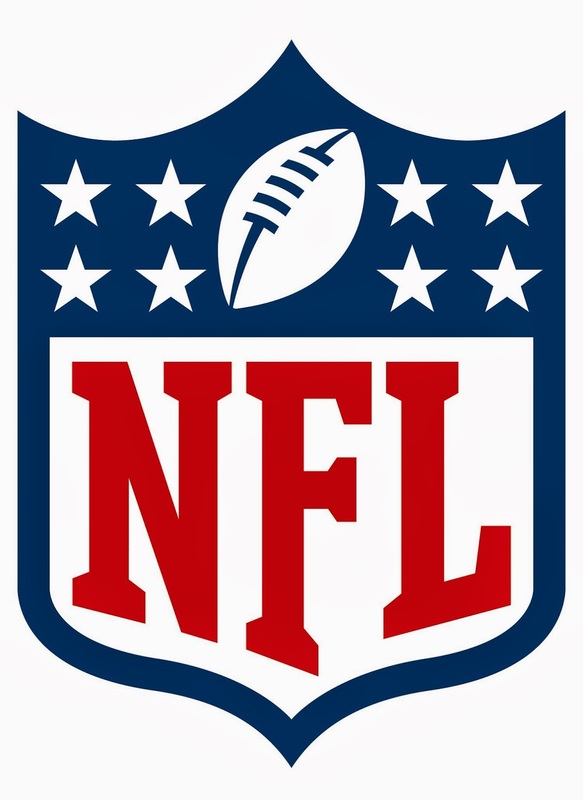 Cle @ Pit – The Stillers still have an outside chance of making the playoffs if they can win here and a few other teams lose. Not very likely, but possible, and the Browns shouldn’t be much of a problem. They’ve only won one road game all season and that bad trend should continue. Was @ NYG – It’s hard to predict who will win a game between two teams that are officially out of the playoffs and have nothing to play for. At least the Giants can still save their coach’s job by finishing strong; the Redskins have assumabley already decided to move on from Mike Shanahan. Bal @ Cin – Well the Bengals have already locked up their division so they’ll only be playing for seeding, but I still think they’ll bring it against their rival. If the Ravens were going to make a run at the last wild card spot they’d have done it against NE instead of getting creamed 41-7. Hou @ Ten – Another meaningless matchup, but one that someone’s gotta win. The Texans have lost an amazing 13 games in a row after winning their first 2 and I just can’t see them turning that around now. The Titans aren’t good & they’re out of the playoffs too, but they should still win. Jax @ Ind – The Colts were in big need of some momentum going into the playoffs as they were not looking like a tough team at all. Two wins in a row should help that, as should a home win here. The Jags have been playing better of late, but they don’t really stack up. NYJ @ Mia – The Dolphins are so close to the playoffs that they can almost taste it. Almost. After getting blown out by the Bills last week they have got to win here to keep their playoff hopes alive. Luckily the Jets are done and are also 1-6 on the road. You can do it Miami! Det @ Min – It’s almost unbelievable how badly the Lions have squandered some golden opportunities. Rodgers & Cutler go down, the division is wide open, and they collapse when they need to win the most. Well their season is done and I can’t see myself picking them to win ever again. Car @ Atl – No divisions have been won in the NFC quite yet, while all are sewn up in the AFC. So while the Panthers control the South right now, they better win if they don’t want to lose their grip & go on the road in the playoffs. Atlanta is a team that they can beat, even away from Carolina. TB @ NO – But if the Panthers do lose, then the Saints can jump right back up on top with a win here. They are undefeated at home this year and I can’t see them losing the most important game so far to the Bucs. NO doesn’t wanna go somewhere cold in January, they won’t leave happy. Buf @ NE – The Patriots showed last week that they’re not messing around with a big win over the Ravens. They want that #1 or #2 spot so that they can play in Foxboro come the playoffs. Right not they just need to beat the Bills at home, which really shouldn’t be that hard. STL @ Sea – That slap in the face in the form of their first home loss of the season last week might have been exactly what the Seahawks needed to get their feet back on the ground. Now they know that they have got to stay focused each & every game. They should win here & beyond. GB @ Chi– This is one of two games that will decide a division. The winner takes the NFC North, the loser goes home. The Bears are helped by the fact that Jay Cutler is back, although he’s a little rusty. I still think he beats Matt Flynn & the Pack, even though Chicago’s D is awful. SF @ Ari – I’ve enjoyed rooting for the Cardinals to make some noise this season and they’ve really been fun to watch. Right now they are out of the playoffs, but they would still have a shot if they were to win right here. They are 6-1 at home, just beat the Seahawks, and could win it. Den @ Oak – Just the second away team I’ve picked so far, but I gotta go with my Broncos. Peyton just set the all-time TD record with 51, Denver owns the #1 seed, and I think they win one more here to cement it. The Raiders might like to play spoiler, but they just don’t have the team. KC @ SD – The Chiefs don’t have anything to play for in this one; they’re stuck at #5 and will be going on the road in Round 1. The Chargers on the other hand are playing for their lives. A win here goes a long way toward getting that coveted last playoff spot, and I think Rivers leads them to it. Phi @ Dal – Last game of the regular season and it’s a big one. Winner takes the NFC East, loser goes home. And with Romo now out for the season, I don’t think the ‘Boys have much of a chance in this one. Kyle “Neck Beard” Orton steps in as the QB and should lose his only start of the year. This looks like the teen version of Primer. And while I really liked that movie, I’m not sure I’m young enough to like this one. It’s not that it looks terrible, it just looks a little too pop & a little too cool. I think I’ll stick with dark & weird & non explanatory. I didn’t get the big deal about The Hurt Locker. Kathryn Bigelow was on every body’s hot list, the movie got rave critic reviews, and it even won the Academy Award for Best Picture. I thought it was just alright. The story was cool, sure, but it was a real life situation that automatically elicits a ton of emotion, not a great original plot that deserves a lot of credit. Jeremy Renner didn’t even do that great of a job, and his role was pretty generic; the maverick soldier who is slightly traumatized & kind of heroic. 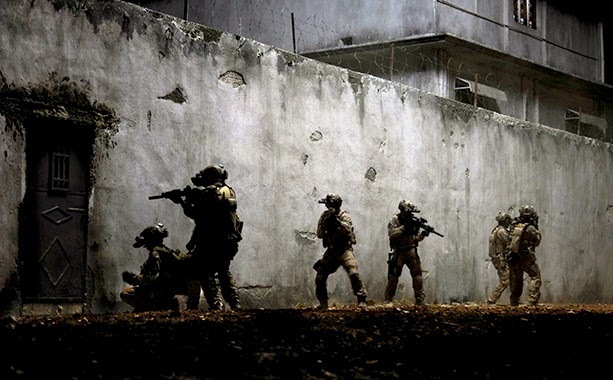 So going into Zero Dark Thirty I imagined I would get a repeat; a film about war, well-made, but without a great actor & about subject matter that speaks for itself and doesn’t need over dramatizing to be effective. Well that’s exactly what I saw, but again most critics saw a wonderful work of art where I just don’t think one exists. The topic of this movie is anything but broad. It is a depiction of the real life events leading to the killing of Osama bin Laden after his apparent lead of the attacks on 9/11. More specifically, the film follows the one woman war of Maya, who is obsessed with the terrorist’s capture and spends her entire government career attempting to bring him to justice. The subjects that the story touches on are both deep & troubling: torture, the detaining of political prisoners, American foreign war plans, the CIA. And while these story lines exist, the focus remains on the intel, the process, and the execution of the final goal; the removal of one of the greatest single threats to American safety. I guess, in the end, I just don’t see why the majority of people think that this and Bigelow’s other projects are so great. Yes, the subject matter is very interesting. She’s banking on the fact that this is information that we want to know & that we probably want to see on screen. The CIA details, the passion behind the chase, the elimination of such an influential historical figure; all of that is cool to see & well-detailed. But it’s the part that makes a movie a movie that I didn’t enjoy as much, and to me that’s a problem. I thought Jessica Chastain was bad; not just OK, but pretty awful. And I need a strong lead actor to help me enjoy the story even if the topic is inherently intriguing. Some people don’t care as much and can be a little more forgiving, but I can’t. Weak acting paired with mediocre directing and a cool true-life plot. That gets you right in the middle; not a bad movie at all, but not an Oscar-worthy one either.